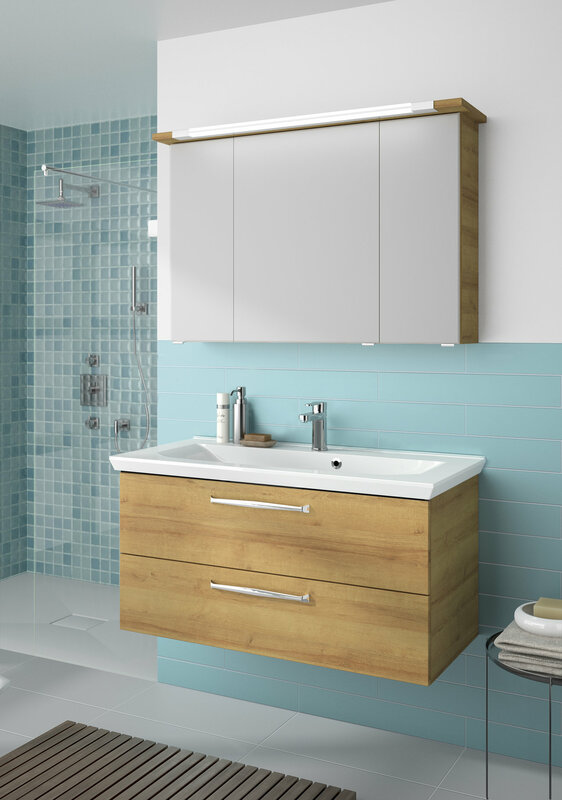 Everything you need to plan a bathroom in one place: uniform bathroom furniture ranges save you a great deal of laborious piecemeal preparation. With its coherent design - as if it were moulded as a single entity - and with short delivery times, Pelipal’s Fokus bathroom furniture line is rapidly becoming a crowd favourite. The advantage of the back-to-basics approach of this range is that there are almost limitless possible combinations of different materials and décors. Trentino has emerged as the most successful model in the range: this modern representative of the cubist movement is a genuine bestseller. The clear design language determines the contemporary design of this customer favourite. The three-step planning process is typical of the Fokus range. First, you choose a washbasin. In addition to various fluid and rectilinear shapes, you also have a choice of several different dimensions and premium materials, such as glass, ceramic or mineral marble. 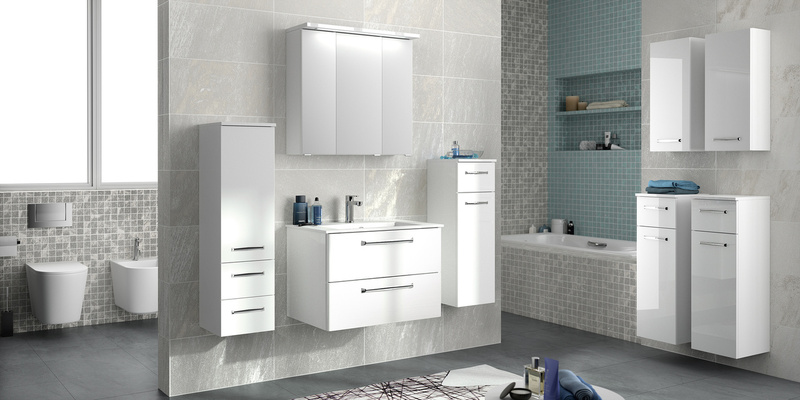 Once the decision has been made, a practical and matching vanity unit is added to the equation - so simple, so convenient. Depending on requirements, you can also consider whether you need a model featuring one or two drawers. 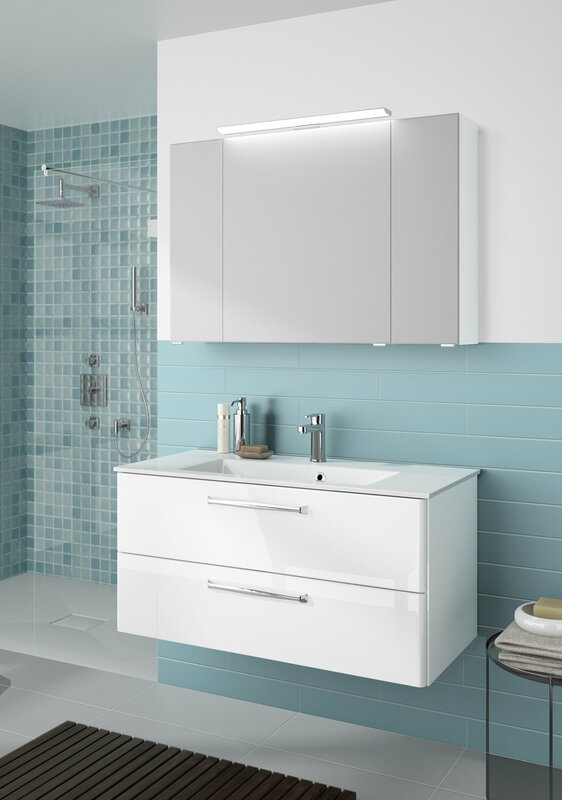 With a selection of white gloss, modern glass surfaces or natural wood looks, this range also offers a multitude of different front panel and carcass décors for you to choose from, which can also be combined to create exciting contrasts if you so wish. That’s what makes the model so successful - it effortlessly fits in to any atmosphere. 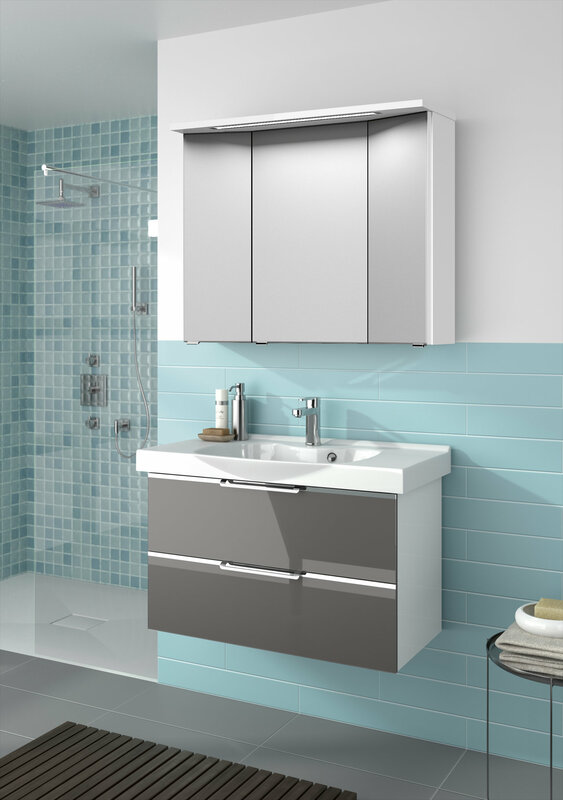 The diversity of the design options for this range is not limited merely to mirror cabinets - various models are worth considering depending on the space available and personal preference. Premium-quality fittings with modern light technology unite the various designs. 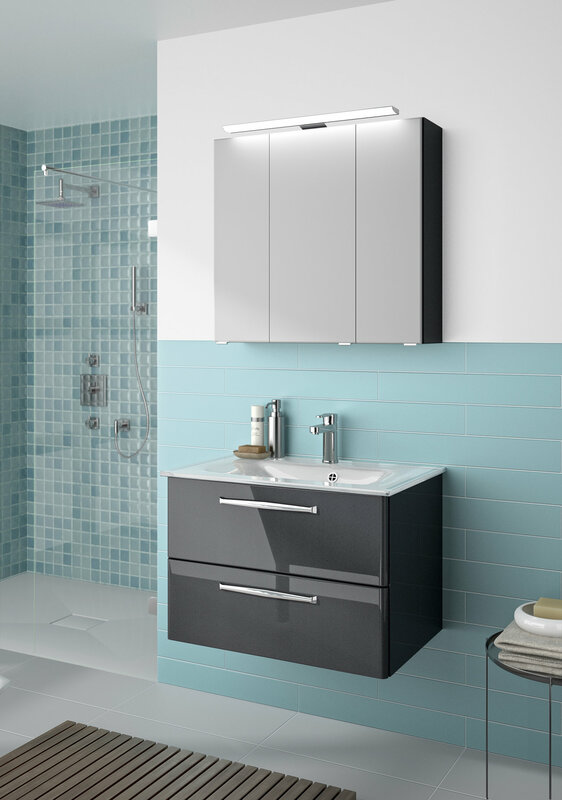 Most of the mirror cabinets offered as part of the Trentino range are fitted with innovative LED lights, so there’ll be a glimmer of light the first time you look in the mirror in the morning. 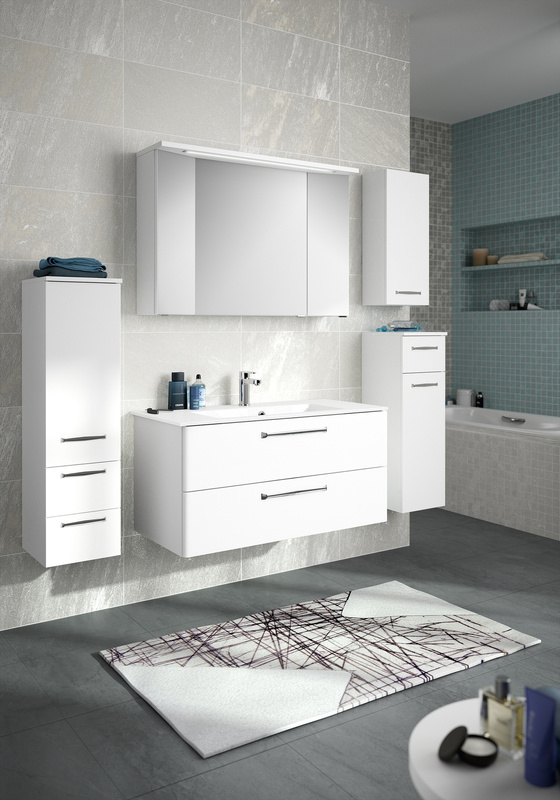 The basic equipment, consisting of three core components - a washbasin, a vanity unit and a mirror cabinet - predestine this range for creating personalised designs in smaller bathrooms. In larger spaces, the basic framework can be enlarged as desired: additional units, such as midi units, high boards or wall units can be added as necessary. You can thus assemble your personalised dream bathroom step by step. 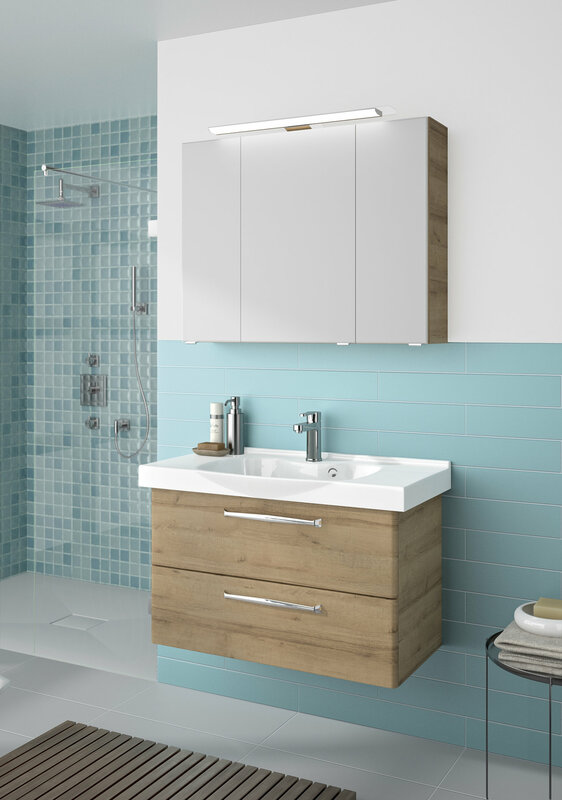 With the modern and multi-talented Trentino range, the focal point of your bathroom can be put together in an instant. The rest, the equipment, the decoration - all you have to do for these is ‘pop back into the bathroom’.